Having taken home $5,500 at a pitching competition already this year, Lisa Pfister is now hoping her company Pfera can capture 67 times that amount in New Brunswick’s premier startup competition. 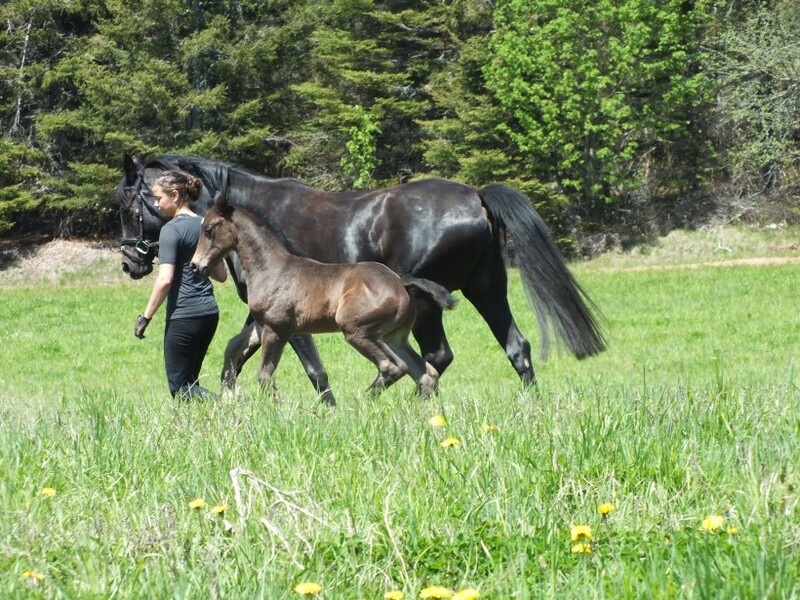 Pfera is a Fredericton-based biotech company that helps horse owners predict precisely when their mares will give birth. It sounds simple, but it alleviates a big problem in a wealthy industry. The company already won first place in the Apex Business Plan Competition in January, and now is one of the 10 semi-finalists in Breakthru, the New Brunswick Innovation Foundation’s biennial startup competition. Four winners at Breakthru, which will be awarded next month, will divide $1 million, and the first prize is worth $371,000. What Pfera does is check the chemistry of fluid drawn from a pregnant horse, and predict fairly accurately when she is due to give birth. The system is now accurate to within 24-48 hours, and Pfister hopes to refine it further, to a 12-hour span. An accurate prediction of when a horse will give birth can save an owner tens of thousands of dollars. Even more important to a horse-lover like Pfister, it can make the birthing process more comfortable and safer for the mare and her offspring. A horse’s gestation period is 320-370 days, and Pfister said conventional techniques in judging when a mare is due vary by much as 73 days. That’s a problem because someone has to monitor a mare around the clock when she is due, and that gets expensive. What’s more, a problem could be fatal to the mare or the foal. “If things go wrong in the foaling process, then they happen pretty quickly,” she said. The company is working in a big and lucrative market, given that there are about one million horses in Canada, and 10 million in the U.S. The equine industry as a whole is worth almost $20 billion in Canada alone. Pfister has brought in a computer science grad with a background in artificial neurology to help work on the IT component of the product. The vision is to study the data collected by the product so that it can become more accurate over time. Horse owners and equestrian staff will also be able to access data and receive alerts on their smartphones. In the spring, Pfister will test the system with several farms and a veterinary group in Prince Edward Island. She plans to finish the testing and then work on signing more farms in the region to work with. The trials in the spring will be special for Pfister because one of the horses is her own.